Essential Performance Compressor Upgrade Kit. This kit is engineered for your 71-72 Dodge/Plymouth B-Body/Late 70-74 E-Body with factory A/C and Big Block V8 engine. Engineered specifically for your 71-72 Dodge/Plymouth B body and Late 1970-1974 Dodge/Plymouth E Body with a Big Block V8 engine and factory a/c. Classic Auto Air's affordable high performance rotary compressor upgrade kit will not only help you save on horsepower, give you better fuel economy and performance, allow for a continuous duty rating of 6,000 RPM and save half the weight of the stock compressor, but it'll look cool in the process as well! It's also a great start to converting your air conditioning system from to 134a! WHY UPGRADE TO A ROTARY COMPRESSOR? Reduce shaft seal leak problems associated with the stock compressor. Majority of conversion from the old R12 to newer 134a. For more information on converting to 134a, CLICK HERE. 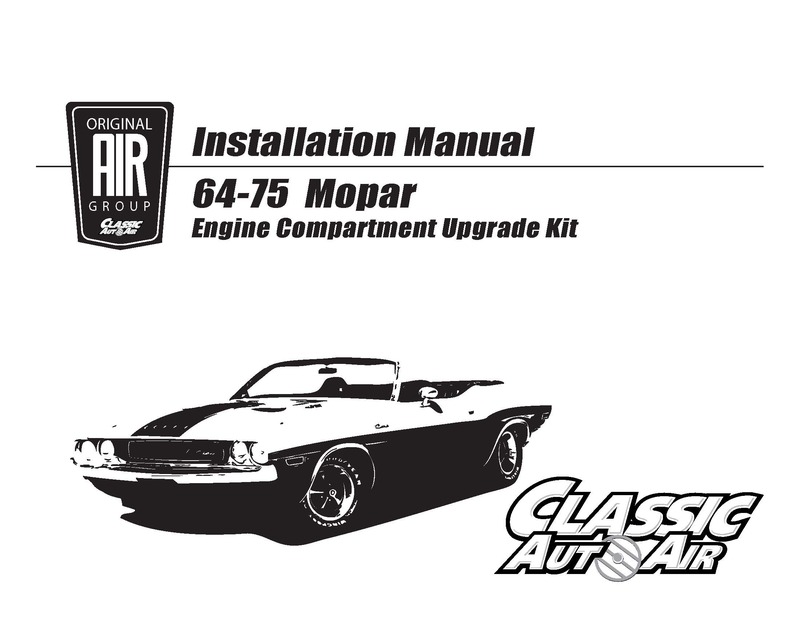 WHAT DOES A ROTARY COMPRESSOR UPGRADE KIT INCLUDE? All the tech support you need. NOTE - For factory air-conditioning equipped vehicles only. **Hoses supplied with one end open, along with the corresponding fitting and cutting/crimping instructions. Your local hydraulic shop can provide crimping services, or we can provide the crimping service for an additional fee. Instructions for both options will be included.